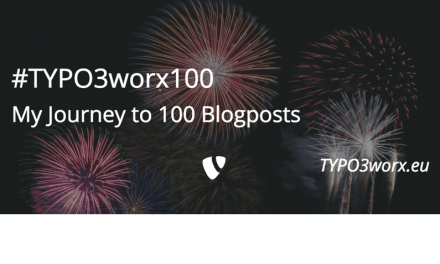 After a short Christmas break, this is the first post in the new year 2017 and the second edition of the TYPO3 reading list. 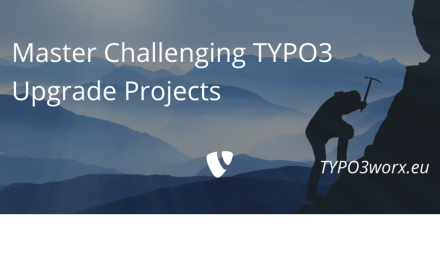 Again I try to cover all areas around TYPO3. Some of the contributors are Sebastian Michaelsen, Arthur Rehm, Helmut Hummel and Andreas Fernandez. In the mid of December the results of the T3A members poll were published on https://voting.typo3.org/election/budget-poll-2017/showresults. Some days later the budget owners were informed about the decisions. And some more days later on Dec. 15th the decision was explained publicly on https://typo3.org/news/article/explanation-of-the-t3a-2017-budget/. Marcus Krause (@t3sec) updated the T3Census. It’s any overview over the used TYPO3 versions of about 250.000 installations found by a crawler. Interesting is that only 33% of all installations run on currently supported versions. Another third is running on TYPO3 4.5, where you cannot see, whether it is running an ELTS or outdated versions. Details are on http://t3census.info/. Sebastian Michaelsen (@s_michaelsen) published the 20th episode of the T3Bits podcast. He is talking with Benni Mack (@bennimack)about TYPO3 version 8. You can listen to it on http://t3bits.de/t3b020-typo3-8 or subscribe to the podcast via iTunes or directly (http://t3bits.de/subscribe). Design-Patterns (should) belong to the toolbox of every developer. This is independent of the language. A good overview of patterns are documented on http://designpatternsphp.readthedocs.io/en/latest/. All (most) patterns are documented with actual php code. That makes it easier to understand and to port the theory to the code. The patterns at the end of the “book” need some love, but it can be edited via github PRs. ? I hope you enjoyed this list of links. If so, I would be very happy if you share this post on your favorite social network. I found the blog post image on pixabay (https://pixabay.com/en/glasses-read-learn-book-text-272399/). It was published by Hans (https://pixabay.com/en/users/Hans-2/) under the CC0 public domain license. It was modified by myself using pablo on buffer (https://pablo.buffer.com/#).